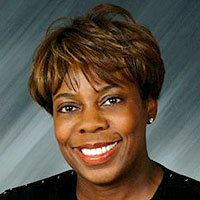 Felicia Farr Norwood is the president and chief operating officer of ActiveHealth Management, a leading provider of health management services, including disease management, clinical decision support and personal health records. An 18-plus-year veteran of private and public health-care service, she says her tenure with the Illinois state government helped her understand the importance of establishing strong relationships and taught her to work cohesively with all people. Norwood served on the board of directors of Illinois Issues, the Board of Visitors of the University of Wisconsin-Madison?s Department of Political Science and the LaFollette School of Public Affairs. She is a member of?and top contributor to?the Jeremiah Milbank Society for The Boys and Girls Club of America, a commitment that stems from her desire to offer children a safe after-school environment. When she was growing up in the small town of Camilla, Ga., boys and girls clubs did not exist, she recalls. Young people had nowhere to go but to other people?s homes. A staunch advocate for disadvantaged minority youth, Norwood would like to establish a foundation that would focus on preparing students for college and have an impact on their ability to obtain higher education. She graduated from Valdosta State University with a B.A.-honors in political science and has a master?s in the same subject from the University of Wisconsin-Madison and a law degree from Yale University. Norwood?s No. 1 role model is her mother, Bertha Bryant. Her mother has had the greatest influence on her life, Norwood says, instilling in her the importance of family, faith and solid values?all of which govern her activities today. Because leadership has more to do with service than self-interest, ?to whom much is given, much will be required; and from the one to whom much has been entrusted, even more will be demanded,? she says, quoting her favorite biblical passage.